The PN Alert released this morning failed to note the new deadline for reviewing and disputing data in CMS's Open Payments system. Here is the corrected version. The Centers for Medicare and Medicaid Services (CMS) has for the second time in recent weeks suspended access to its database that keeps track of payments physicians receive from the pharmaceutical and medical-device industries. The database, called Open Payments, allows physicians who have registered with CMS to verify the accuracy of the information that these industries have reported. As a result of the suspension, the new deadline for physicians to review and dispute data has been extended to September 10. The Open Payments database is still scheduled to go live to the public on September 30. 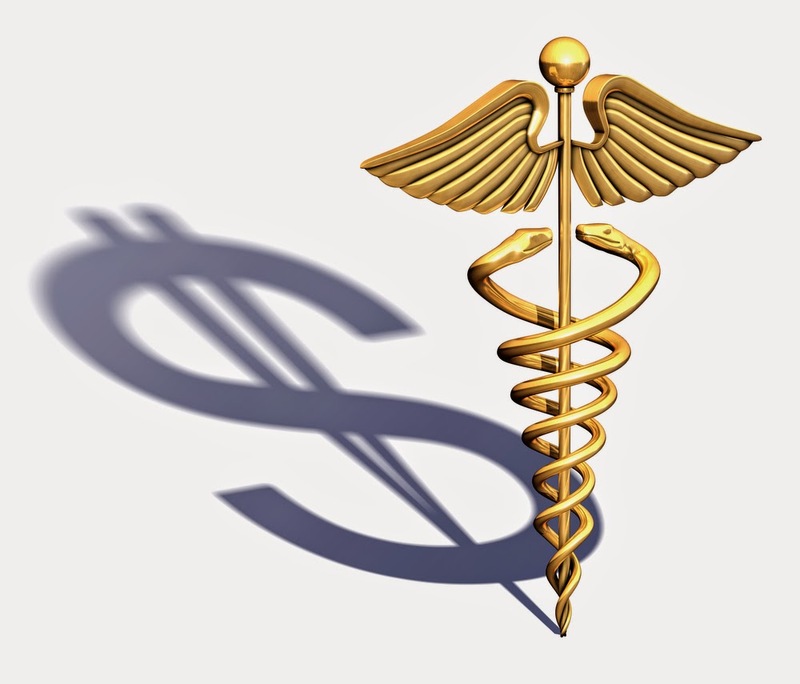 The reporting system was established through the Physician Payments Sunshine Act as required by the Affordable Care Act. CMS had suspended access early this month after ProPublica published an account of a data mix up in which information from a Florida physician ended up in the account of an Kentucky physician with the same name. At the time, CMS said it was taking the system offline to correct the data problem and would "work with the industry to eliminate incorrect payment records." Early this month, the AMA sent a detailed letter to CMS Administrator Marilyn Tavenner, co-signed by APA and dozens of other medical organizations, urging the agency to implement a delay in having the system go public until March 31, 2015, citing several concerns including technical problems, the cumbersome registration process, and the appeals process. Psychiatric News will alert APA members when access to the database has been restored. 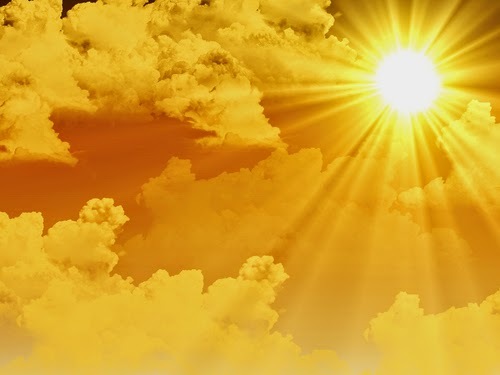 Read about the terms and requirements of the Physician Payment Sunshine Act in Psychiatric News. President Obama, speaking yesterday at the American Legion's national meeting, issued 19 executive actions to improve mental health care for active-duty military service members, their families, and veterans. 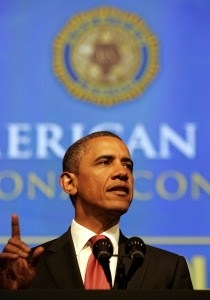 APA has been a strong advocate for many items in the President's plan. The executive actions were aimed at improving access and quality of care in both the Department of Defense (DoD) and Department of Veterans Affairs (VA) health systems and in smoothing the transition of mental health care as military members move from the DoD to VA systems. Among other things, the actions will allow changes in the VA’s medication formulary to match that of the DoD, ensuring continuity of psychotropic medications without the present need for cumbersome medication waivers. The DoD will also now automatically enroll service members receiving mental health care in an existing transition program, which has up to now required clinician- or self-referral. The actions will bring the DoD’s TRICARE military health system more closely in line with the civilian mental health parity legislation. Another provision will push mental health care options down to the level of operational units. More research on posttraumatic stress disorder, traumatic brain injury, and suicidality are also part of the initiative. The benefits of supported employment for individuals with severe mental illness persist up to five years after program enrollment, according to the report "Long-Term Effectiveness of Supported Employment: 5-Year Follow-Up of a Randomized Controlled Trial" published in AJP in Advance. The study confirms and extends the significant benefits—more hours of competitive work, higher pay, and diminished likelihood of hospitalization—of supported employment for people with schizophrenia and other severe mental illnesses that had been found at two and three years. Additionally, the study found that over time, the supports associated with the intervention could be removed without diminishing the benefits; recipients became less dependent on the program to retain employment. In the study, 100 unemployed individuals with severe mental illness were randomly assigned to either the supported employment program or traditional vocational rehabilitation. The supported employment program, known as the Job Coach Project, was modeled after the individual placement and support model of supported employment. Once employed, participants receive on-the-job training and follow-along support to help them keep their jobs. The researchers found that participants in supported employment were more likely to obtain competitive work than those in traditional vocational rehabilitation (65% vs. 33%), worked more hours and weeks, earned more wages, and had longer job tenures. Reliance on supported employment services for retaining competitive work decreased from the two-year to the five-year follow-up, and participants were also significantly less likely to be hospitalized, had fewer psychiatric hospital admissions, and spent fewer days in the hospital. Robert Drake, M.D., Ph.D., of Dartmouth University, one of the founders of supported employment, said the findings are consistent with 21 other studies in the literature. “The new findings here are that employment supports can be reduced without eroding benefits, and cost savings are great when you follow people for five years rather than 18 months as in most U.S. trials,” he told Psychiatric News. For more information on this topic, see the Psychiatric News article "Study Finds Evidence Supported Employment Works." Also see the report "Supported Employment: Assessing the Evidence" in Psychiatric Services. While suicide is part of the daily work of psychiatrists, they are primarily focused on "assessing patients for suicide risk, exploring suicide thoughts and planning, and treating the cognitive patterns directly or the underlying psychiatric illnesses. In other words, safety and prevention," noted psychiatrist Michael Myers, M.D., after the recent death by suicide of actor and comedian Robin Williams. But psychiatrists enter a "foreign and frightening world, a dark and lonely place" when they lose a patient to suicide, he explained. 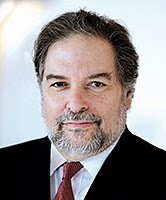 Myers is co-author of the book, Touched by Suicide: Hope and Healing After Loss and a professor of clinical psychiatry at SUNY Downstate Medical Center in Brooklyn, N.Y.
As a clinician who has had patients who have died by suicide, Myers took the opportunity of Williams' widely discussed suicide to share the following reflections and insights with psychiatrist colleagues. Don’t forget why we chose psychiatry as our field. Most applicants to psychiatry residency describe in their personal statement how they have been affected by someone they know struggling with a mental illness. They want to alleviate suffering, make a difference. But most have never talked to a clinician who has shared his or her story about losing a patient to suicide. We must never forget the anxiety in our trainees, including the denial, about one of their patients dying by suicide. Suicide is a unique form of death. Losing a patient to suicide is very different from losing a patient to diabetes or cancer. Our bereavement, and the mourning of the decedent’s loved ones, are distinctive. We wrestle with a host of emotions—shock or surprise, confusion, loss, sadness, anger, fear, failure, guilt, and almost always, shame. Shame is why so many psychiatrists do not easily discuss or write about their experiences. Most clinicians struggle with varying amounts of responsibility and self blame. I know this first hand from attendee disclosures at my courses and clinical case conferences on losing patients to suicide at APA annual meetings. Reach out to the grieving family. I have always believed that our humanism should eclipse our fears of legal consequences, namely being sued. Research shows that the chances of being sued are decreased (not eradicated) by being "physicianly" to our patient’s loved ones. Do not isolate. We must take care of ourselves in whatever way necessary, including talking to our families and colleagues. Excellent resources are available from the American Association of Suicidology (www.suicidology.org) and the Physician Litigation Stress Resource Center (www.physicianlitigationstress.org. To read more of Myers' comments, click here. Today, the American Heart Association (AHA) issued a new policy statement on the use and control of e-cigarettes, including some key guidelines related to the use of these devices in tobacco-cessation counseling. The AHA noted that current empirical evidence is very limited and has not established that e-cigarettes are any more effective than other cessation tools; at best, they have been shown to work as well as nicotine patches without behavioral support. In addition, e-cigarettes suffer from an absence of long-term safety studies and a lack of proper regulation. 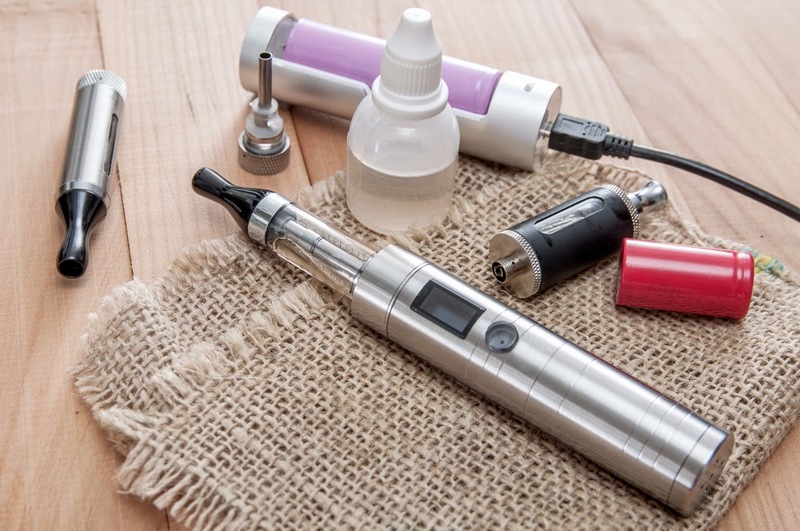 As such, the AHA policy does not support e-cigarettes as a primary aid in smoking cessation. It recommends clinicians should continue to use proven cessation strategies as the first line of treatment for patients. In cases where repeated efforts with conventional treatment fail, are not well tolerated, or are rejected by a patient, however, clinicians should not discourage the use of e-cigarettes if requested by the patient. The AHA did stress that clinicians need to remain educated so they can inform patients that though e-cigarette aerosol may be less toxic than cigarette smoke, e-cigarettes still pose potential health risks and have not been approved by the FDA as smoking-cessation devices. "Nicotine is a dangerous and highly addictive chemical no matter what form it takes – conventional cigarettes or some other tobacco product," said AHA President Elliott Antman, M.D. In addition to cessation guidelines, the AHA policy statement provides recommendations in other areas of e-cigarette control including clean air laws, taxation, regulation, preventing access to youth, marketing and advertising, surveillance, and defining e-cigarettes as tobacco products. Last week, the Food and Drug Administration (FDA) approved Belsomra (suvoraxant) to treat individuals with insomnia. The drug, which antagonizes molecular pathways of orexins—chemicals involved in keeping people awake—is the first of its kind to receive such approval. Effectiveness of Belsomra was studied in three clinical trials totaling more than 500 participants who were given various doses (5mg, 10mg, 15mg, or 20 mg) of the orexin antagonist or a placebo. The results showed that the patients in the Belsomra group fell asleep faster and spent less time awake during the night when compared with individuals taking placebo. Furthermore, the FDA asked Merck, the drug’s manufacturer, to assess next-day driving performance of individuals administered Belsomra. The evaluation showed that impaired driving skills were significant in patients who took the maximum approved dose of 20 milligrams. The most commonly reported side effect among clinical trial participants was drowsiness. Belsomra was not compared with other approved medications indicated for insomnia. Director of the FDA Office of Drug Evaluation I, Ellis Unger, M.D., commented that recent approval will "assist health care professionals and patients in finding the best dose to treat each individual patient’s sleeplessness.... Using the lowest effective dose can reduce the risk of side effects, such as next-morning drowsiness." The FDA recommends that Belsomra be taken no more than once a night, within 30 minutes of going to bed, with at least seven hours remaining before the planned wake time. Because Belsomra can be abused and lead to dependence, the Schedule IV drug will be dispensed with an FDA-approved patient Medication Guide that provides instructions for its use and important safety information. Read the FDA news release about Belsomra here. For information on insomnia and other diagnoses of sleep disorders, see the Psychiatric News articles, "Manual Updates Sleep Disorder Diagnoses" and "Improving Sleep May Benefit Psychiatric Disorders." Dopamine replacement is a vital part of Parkinson’s disease (PD) therapy, but new findings show that dopamine replacement during early-stage PD also can increase some psychiatric symptoms. 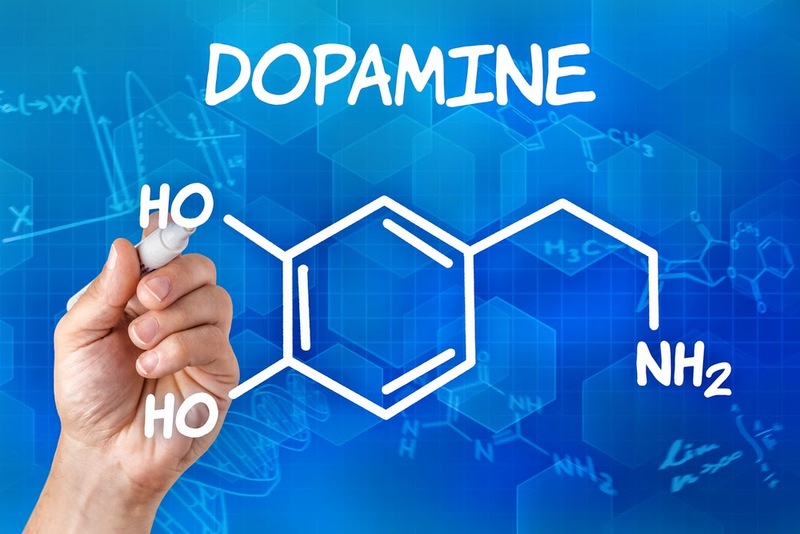 PD patients who had been on at least one type of dopamine-related medication for at least one year experienced higher rates of impulse control problems and daytime sleepiness than patients not on dopamine therapy. On the positive side, dopamine replacement did reduce fatigue in many patients. These findings, which were published online August 15 in Neurology, represent the first longitudinal data to come from the Parkinson's Progression Markers Initiative. This ongoing observational study enrolled 423 newly diagnosed, untreated Parkinson's patients and 196 healthy controls and will follow them over five years. Despite the increased awareness, another finding of this study was that about two-thirds of PD patients who screened positive for depression at any of their evaluations were not taking an antidepressant, suggesting it is still an undertreated symptom. Weintraub stressed that the results are still preliminary; at the time of publication, 261 PD patients and 145 healthy controls had been assessed at their 12-month evaluation, while 96 PD patients and 83 healthy controls had reached 24 months. To read about the correlation between depression and Parkinson’s, see the Psychiatric News article, "Depression May Be Linked to Onset of Parkinson’s." The prevalence of childhood disability rose in the decade from 2001 to 2011, continuing a long-term trend, but there were some surprising details within the bigger picture. Overall, the rate of disability for children aged younger than 18 rose from 6.87% to 7.94%, an increase of 15.6%, based on parent-reported data from the National Health Information Survey, wrote Amy Houtrow, M.D., Ph.D., an associate professor of physical medicine and pediatrics at the University of Pittsburgh, online in the journal Pediatrics. The rise was not due to physical health conditions, whose prevalence actually declined by 11.8% over the decade. Instead, disabilities attributable to neurodevelopmental or mental health conditions increased by 20.9%. Children at the lower end of the income scale had a higher prevalence of disability, but those at the highest end (≥400 percent of the federal poverty level) showed the greatest increase over the decade, a finding that surprised the investigators. This increase, they suggested, may be due to better access to care or greater willingness to seek services among upper-income families, among other possibilities. APA yesterday urged the federal Substance Abuse and Mental Health Services Administration (SAMHSA) to develop explicit goals for promoting evidence-based best practices, including psychiatric care, for treatment of people with serious mental illness as part of the agency’s draft strategic plan for 2015-2018. “APA is strongly concerned about the lack of explicit recognition of the psychiatric treatment needs for Americans suffering from mental illness and substance use disorders, and in particular for the 13 million Americans who suffer from debilitating serious mental illnesses,” said APA CEO and Medical Director Saul Levin, M.D., M.P.A., in a statement responding to the plan. APA praised SAMHSA’s goal of promoting adoption of electronic health records, but Levin also noted that many mental health care providers and facilities were excluded from the HITECH Medicare and Medicaid health information technology adoption incentive. APA also expressed concern about the inconsistent implementation of the Paul Wellstone and Pete Domenici Mental Health Parity and Addiction Equity Act, and as a remedy for this concern, urged SAMHSA to develop educational materials explaining parity implementation for patients, providers, but most especially, for government officials responsible for enforcing the law. "It is essential for SAMHSA to focus on the medical care needs of patients with serious mental illness," APA President Paul Summergrad, M.D., told Psychiatric News. "The critical role of scientifically based care provided by psychiatrists also requires far greater emphasis, as does support for psychiatric workforce development. Patients and families suffering with these very disabling conditions deserve nothing less." Read APA's complete response to the SAMHSA strategic plan here. A draft of SAMHSA's plan is posted here. Mass job layoffs have been found to play a role in triggering suicide-related behaviors in adults, and new research finds a similar association in some categories of teenagers as well, reports a study published in the American Journal of Public Health. 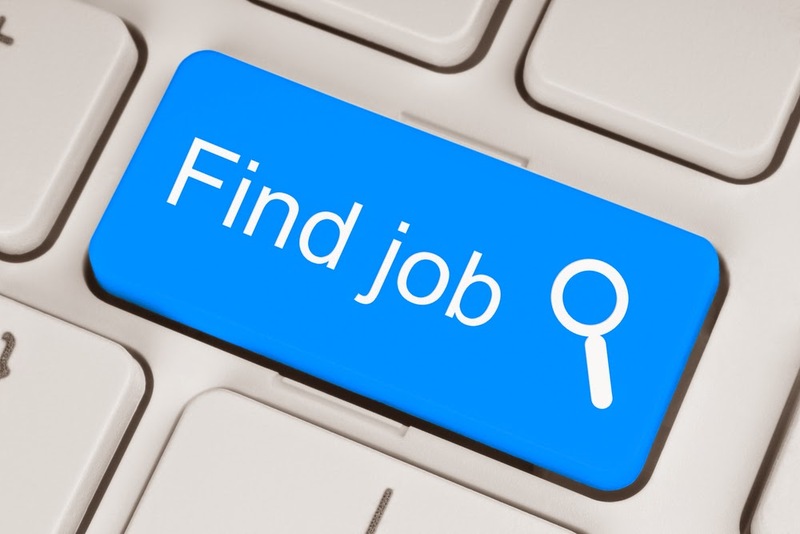 Researchers at the Sanford School of Public Policy at Duke University assessed whether a relationship existed between suicide-related behaviors in teenagers and substantial statewide job loss. Using data from 1997 to 2009 from the Center for Disease Control and Prevention's Youth Risk Behavior Survey and the Bureau of Labor Statistics, the researchers estimated the effects of mass layoffs—defined as affecting more than 50 employees at companies in a state—on suicide ideation, plans, or attempts, in a diverse population of 400,000 adolescents, with an average age of 16, across the United States. The results showed that when 1% of a state’s working-age population (individuals from ages 25 to 64) lost their jobs, all of the suicide-related behaviors assessed in the study increased by 2% in girls, whereas boys were unaffected. "For girls, economic hardship appears to have worsened existing tendencies," the authors suggested. When observing ethnicity and race only, the researchers found that job loss among at least 1% of a state working population was associated with a 2% to 3% increase in suicide-related behaviors in African-American teenagers. 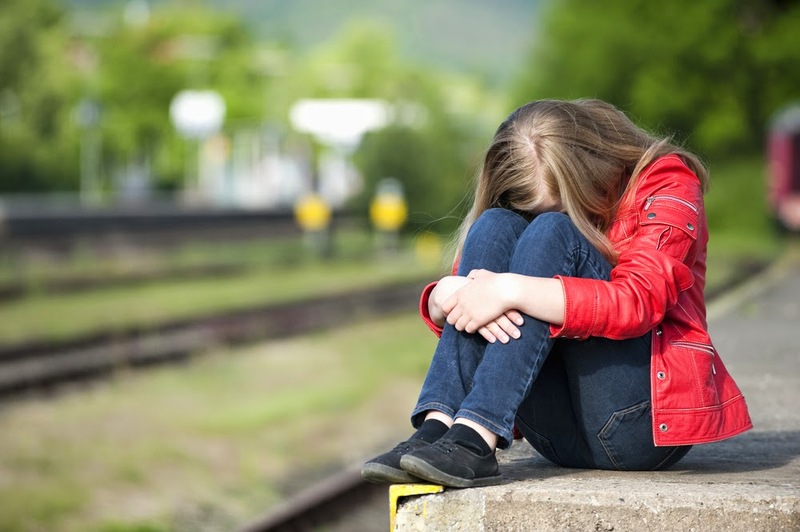 Mass layoffs did not appear to affect suicide-related behaviors in white or Hispanic teenagers. The researchers hope their findings may help clinicians identify teens who could be at increased suicide risk. "During an economic hardship...there is an increase in depression, with suicidal thoughts and actions," said psychiatrist Paula Clayton, M.D., former medical director of the American Foundation for Suicide Prevention, in an interview with Psychiatric News. "Because of finances, people are less likely to seek appropriate help. And if on medication, [they are] less likely to buy their medications and more likely to skip treatment sessions." Clayton stressed that it is important for mental health clinicians who treat adolescents to be aware of the increased risk for psychiatric symptoms as a result of an economic downturn and discuss options with their patients and the community about "delivering first-rate care more effectively and cheaply," such as charging less, using trained assistants to see some patients, conducting telephone sessions instead of in-person sessions, and holding group sessions. In addition, Clayton concluded, mental health clinicians should provide educational tools about mental health issues and care resources to local schools and community dwellings. To read more about how unemployment and economic downturn can contribute to adverse mental health conditions, see the Psychiatric News article, "Summit Conference Addresses MH Issues in Troubled City." For an extensive review of suicide-related issues, see The American Psychiatric Publishing Textbook of Suicide Assessment and Management, Second Edition. The Centers for Medicare and Medicaid Services (CMS) has ended the temporary suspension of access to its new database, Open Payments, that keeps track of payments and gifts physicians receive from the pharmaceutical and medical-device industries. The database allows physicians who have registered with CMS to verify the accuracy of the information that these industries have reported. Because of the suspension, the deadline for physicians to dispute 2013 data in Open Payments has been extended from August 27 to September 8. The public website will still be launched September 30 as planned. The reporting system was established through the Physician Payments Sunshine Act as required by the Affordable Care Act to give the public information about possible relationships between their physicians and industry. CMS said in a statement earlier today, "A full investigation into a physician complaint found that manufacturers and group purchasing organizations (GPOs) submitted intermingled data, such as the wrong state license number or national provider identifier (NPI), for physicians with the same last and first names. This erroneously linked physician data in the Open Payments system." CMS Deputy Administrator and Director of the Center for Program Integrity Shantanu Agrawal, M.D., added, "We have identified the root cause of the problem and have instituted a system fix to prevent similar errors. We strongly encourage physicians to review their record before the deadline and before the data are posted publically to identify any discrepancies." The suspension went into effect August 3 after problems with the system were reported to and published by ProPublica, an independent news organization specializing on investigative, public-interest journalism. If they have not done so already, APA members are advised to register on the Open Payments site and review their data as soon as possible. Information on the three-step verification and registration process is posted on APA's website. Read more about the terms and requirements of the Physician Payment Sunshine Act in Psychiatric News. Every day in the United States an average of 108 people die by suicide, a statistic brought into tragic prominence earlier this week as the nation focused on the death of comedian and actor Robin Williams. 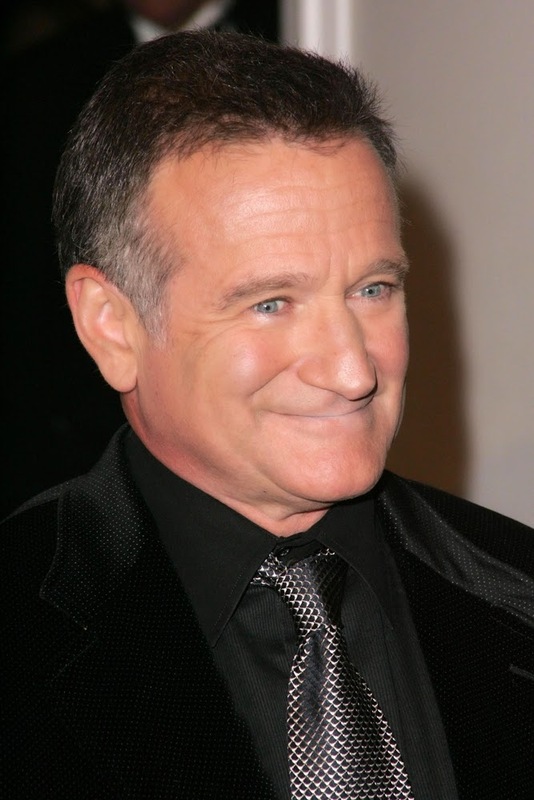 Williams had publicly acknowledged his struggles with substance abuse and depression. The tragedy provided an opportunity to educate the public about mental illness, risks of suicide, and the importance of reaching out for help and seeking treatment. Many news outlets ran stories about mental illness and about its presumed presence in creative people. “It’s very important that we stop seeing these illnesses as false and stop blaming patients and see them for what they are—which are medical conditions, genetic conditions, brain disorders that require appropriate diagnosis, treatment, care, and support," said APA President Paul Summergrad, M.D., in an interview on NBC Nightly News. For more information on suicide, see APA's website. Here are some of the media vehicles in which APA members shared their expertise with the public. Five university-based divisions of child and adolescent psychiatry (CAP) in New York are collaborating to provide education and consultation to primary care physicians in the state around issues related to mental health care of their patients. The “Child and Adolescent Psychiatry for Primary Care” (CAP-PC) initiative, sponsored by a grant from the New York State Office of Mental Health, funds the five CAP divisions from the University at Buffalo, Columbia University, Hofstra/North Shore/Long Island Jewish, University of Rochester, and SUNY Upstate Medical University (Syracuse) to provide phone, face-to-face, and telepsychiatry consultation to pediatricians and family physicians caring for children in more than 90 percent of the state. Additionally, the five divisions have chosen to partner with the Resource for Advancing Children's Health (REACH) Institute—a national organization established 2006 to develop education for primary care physicians in child mental health—to provide a formal “mini-fellowship” in “Assessment and Management of Child and Adolescent Mental Health.” That mini-fellowship consists of three days of intensive training in evidence-based assessment and treatment of common problems seen among children in primary care offices: ADHD, depression, anxiety, and aggression. The initiative represents a critical element of integrated health care: extending the expertise of experts in psychiatry to primary care and other practitioners. For information about other efforts to collaborate across disciplines in the care of children and adolescents, see the Psychiatric News article, “Innovative `Buddy System’ Teaches Collaboration.” Also see the Psychiatric Services study, "Clinicians' Utilization of Child Mental Health Telephone Consultation in Primary Care: Findings From Massachusetts." An analysis of more than 60 clinical studies and nearly 60,000 adult patients conducted from 1996 to 2013 calculated that the total cost of depression in the United States is in the range of $188 billion to $200 billion. As much as $64 billion of these costs are associated with treatment-resistant depression, which accounts for only a fraction of all cases, but exacts a heavy toll on society. "A Review of the Clinical, Economic, and Societal Burden of Treatment-Resistant Depression: 1996-2013" was published August 1 in Psychiatric Services. As author John Hornberger, M.D., CEO and president of Cedar Associates, a health research firm, told Psychiatric News, "As a general internist, I see patients across a broad spectrum of diseases. There are clear differences among disciplines in the level of stigmatization associated with disease and public advocacy, and these differences influence the debate about health care and research priorities. With our study, we sought to understand better the burden of mental health, especially the patients who are most difficult to treat." The review found that the annual costs, combining health care and productivity losses, for someone with treatment-resistant depression were nearly double those of someone with treatment-responsive depression and nearly quadruple those for the general population's health-related costs ($20,120 vs. $10,592 vs. $5,095). 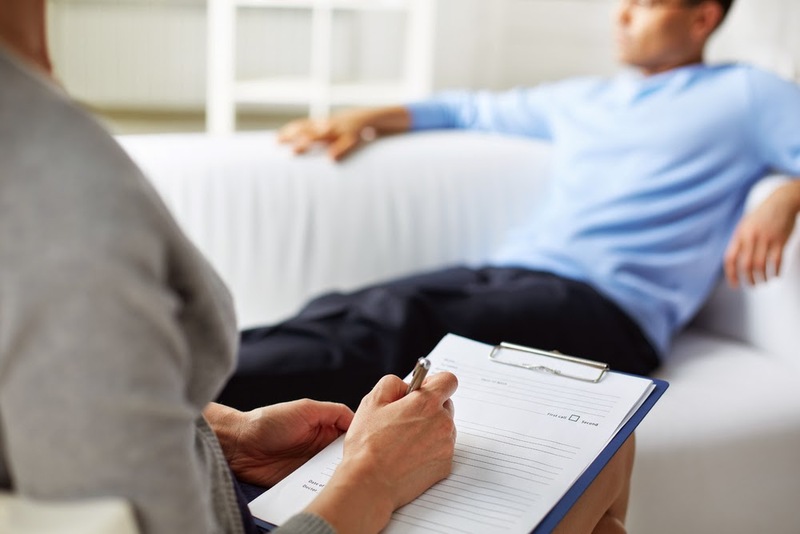 Psychiatrist Jerry Halverson, M.D., medical director of adult services at Wisconsin's Rogers Memorial Hospital-Oconomowoc and a member of APA’s Council on Advocacy and Government Relations, was not surprised by the results. "The findings perfectly underline what we as clinicians see every day," he said. "Our patients have many physical and psychiatric comorbidities in addition to depression, so they not only account for a proportionally higher percent of the health care spending; but their quality of life is terrible." The financial burden attributed to depression is higher than recent cost estimates for cancer ($131 billion) and diabetes ($173 billion), but depression receives far less research funding from the National Institutes of Health than those two illnesses. The authors noted that improved access for underserved populations and better patient education would help lower this burden, but also stressed a need for new therapeutic strategies like pharmacogenomics. To read about recent research into a potential therapy for treatment-resistant depression, see the Psychiatric News article, "Ketamine Shows Rapid Action In Treatment-Resistant Depression." The Centers for Medicare and Medicaid Services (CMS) is temporarily suspending access to its new database that keeps track of payments physicians receive from the pharmaceutical and medical-device industries. The database, called Open Payments, allows physicians who have registered with CMS to verify the accuracy of the information that these industries have reported. The reporting system was established through the Physician Payments Sunshine Act as required by the Affordable Care Act. The suspension was announced after problems with the system were reported to ProPublica, an independent, nonprofit news organization specializing on investigative, public-interest journalism. Louisville, Ky., physician David E. Mann said that when he logged in to verify the accuracy of the records on him, he found that payments to a Florida physician with the same name were included in his record, indicating that he was the one on the receiving end of the payments. Mann, who shared a screen shot of his Open Payments record with ProPublica, provided information indicating that it was Janssen Pharmaceuticals, a Johnson and Johnson subsidiary, that mixed up the information on the two David E. Manns. "After an assessment of the data resulting from a complaint," said CMS in a statement, "we discovered that a limited number of physician payment records submitted by at least one manufacturer incorrectly contained information about other physicians. CMS takes physician privacy very seriously, and we have taken the system offline temporarily and will work with the industry to eliminate incorrect payment records." Registration to access the payment-verification site has been suspended while CMS is investigating the database problems. Psychiatric News will alert APA members when access to the database has been restored. A new study published in JAMA Psychiatry shows the rate at which medications used to treat mental illness can lead to emergency department (ED) visits and suggests that efforts should focus on reducing the adverse effects of the drugs linked to the most ED visits. Researchers at the Centers for Disease Control and Prevention (CDC) and Johns Hopkins Bloomberg School of Public Health analyzed rates of (ED) visits by adults for adverse health consequences that were linked to use of psychiatric medications. Collecting data from 63 hospitals that participate in the National Electronic Injury Surveillance System—Cooperative Adverse Drug Event Surveillance, the researchers analyzed medical records of adults aged 19 and older who were treated at least once at an ED in the three years beginning January 2009 for an adverse event attributed to use of a psychiatric medication. 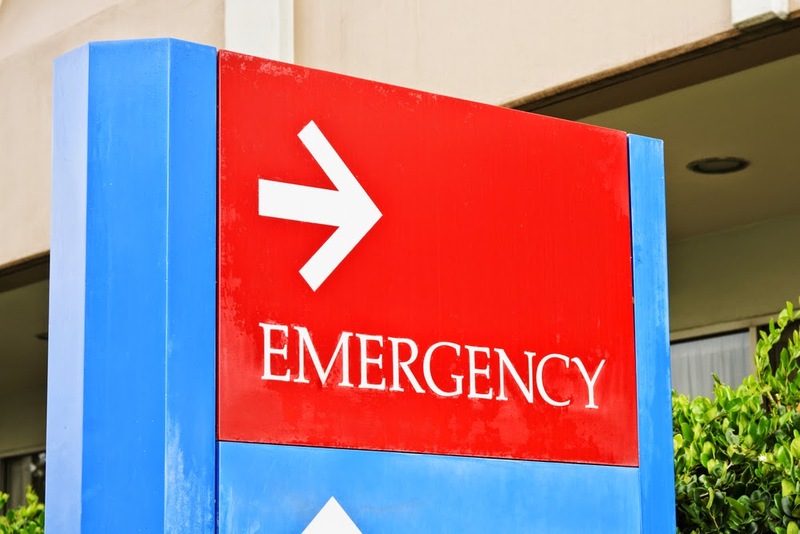 The results showed that psychiatric medication accounted for an estimated 89,094 annual ED visits for adverse events in the years studied—with about 1 in 5 of the visits resulting in hospital admission. Nearly 50 percent of ED visits related to psychiatric drugs involved adults aged 19 to 44, while 17 percent involved patients aged 65 and older. Adverse events related to antipsychotics and antidepressants were the leading medication-related causes of ED visits among young to middle-aged adults, whereas adverse events linked to use of sedative and anxiolytic medications were the leading cause of ED visits for older adults. Overall, when the age factor was removed, the researchers found lithium salts and antipsychotics to be the leading contributors to ED visits related to psychiatric medication use. The most common adverse health consequences were movement disorders, such as dystonia and extrapyramidal disorders, due to antipsychotics. "These results support [the 2013 APA] recommendations that antipsychotics should be prescribed with caution...to ensure that antipsychotics were clinically warranted, commented lead author Lee Hampton, M.D., M.Sc., a medical officer at the CDC, in a commentary on Medscape. Hampton and colleagues concluded that efforts should be implemented to reduce adverse events associated with psychiatric medications among adults of all ages, starting with highest priority given to the medications that this study found were linked with the highest rates of ED visits. To read about APA's advisory for prescribing antipsychotics, see the Psychiatric News article, "APA Joins Campaign Urging Doctors, Patients to Choose ‘Wisely’." To see an interview with Hampton discussing the study's findings, click here. Milk? Check. Potatoes? Check. Loaf of bread? Check. Mental health screening? At your local supermarket? Yes, that's available too. A mental health screening kiosk opened August 5 at a QCare retail health clinic within a ShopRite grocery store in Philadelphia as a way to get more people to think about their mental well-being and about getting help if they are experiencing signs of a mental disorder. The system uses electronic tablets to ask patients anonymously in either English or Spanish about such conditions as depression, anxiety, bipolar disorder, PTSD, alcohol misuse, or eating disorders. Individuals screening positive for symptoms of one or more of the disorders can be referred to local sources for treatment. The idea was the winning submission in the 2014 Design Challenge sponsored by the Thomas Scattergood Behavioral Health Foundation in collaboration with two Drexel University School of Public Health graduate students, Gregory Caplan and Teresa Moore. The screening intervention itself was developed by the Philadelphia Department of Behavioral Health and Intellectual Disability Services in cooperation with Screening for Mental Health Inc., and was based on a similar, existing screener on the department’s website. At the clinic, the kiosk screen asks shoppers a few questions about themselves and how they feel, then provides feedback on the responses, followed by a list of resources for mental health care, if needed. Special modules are built into the program to educate users about mental illness and to log the number of screenings, demographic information, and types of disorders recorded for later analysis. "One effective way to combat the widely prevalent stigma of mental illness is to promote the concept of mental well-being," said Naushad Jessani, M.D., past president of the Philadelphia chapter of the Pennsylvania Psychiatric Society. 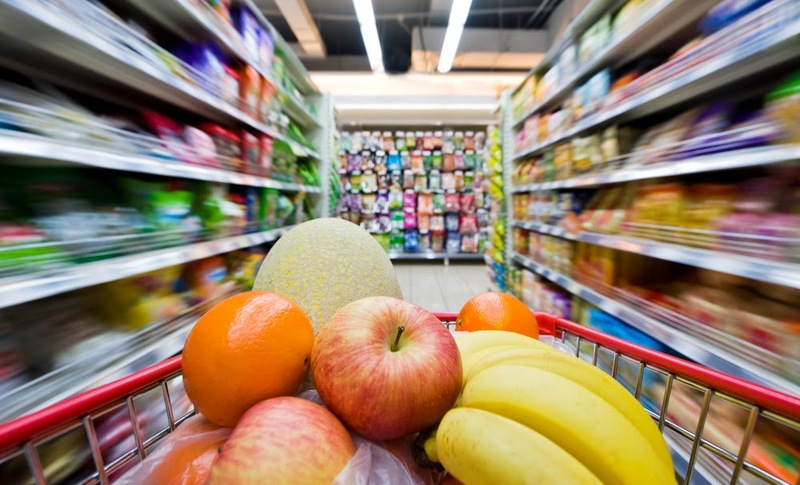 "The mental health screening kiosk at the supermarket should serve as a wonderful launching pad for introducing the concept of early detection and treatment of common mental illnesses and thus maintaining optimal mental well-being." 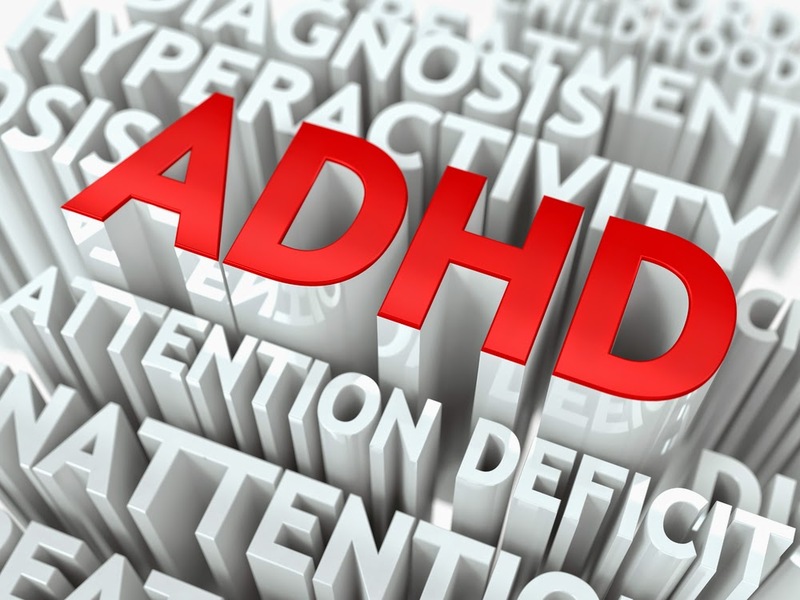 A large proportion of individuals with ADHD fail to seek treatment for the disorder, and among those who do decide to get treatment, they often do so long after the disorder first appeared. Moreover, treatment seeking by males appears to be affected by a greater number of identifiable characteristics, suggesting that they might be more responsive to efforts directed toward expediting entry into treatment. Those were among the findings in the study, “First Treatment Contact for ADHD: Predictors of and Gender Differences in Treatment Seeking,” published online in Psychiatric Services in Advance. Researchers at the New York State Psychiatric Institute and the Department of Psychiatry at Columbia University analyzed data on 34,653 people who responded to the National Epidemiologic Survey on Alcohol and Related Conditions (NESARC), a two-wave face-to-face survey conducted by the National Institute on Alcohol Abuse and Alcoholism, to examine predictors of treatment seeking for ADHD. 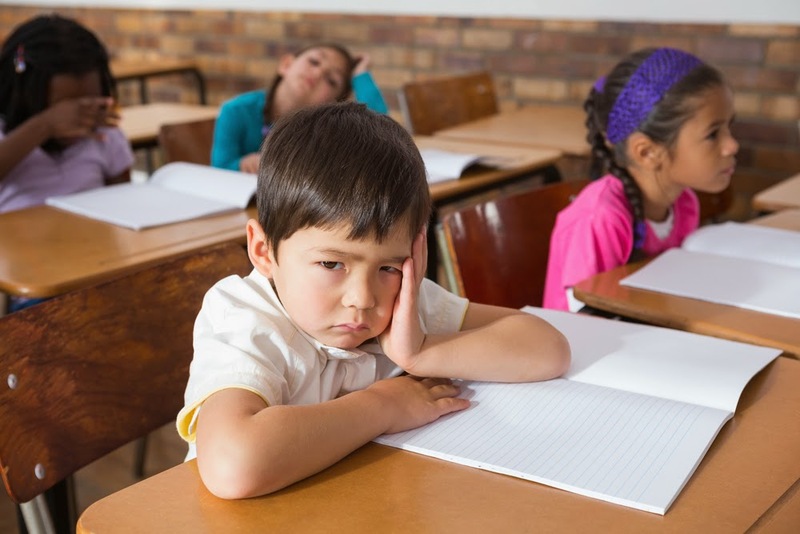 For related information about treatment for ADHD, see the Psychiatric News article, "Addressing Comorbid ADHD, Substance Abuse Disorder in Adolescents." To read about how ADHD is complicated by other psychiatric illnesses, see American Psychiatric Publishing's ADHD Comorbidities: Handbook for ADHD Complications in Children and Adults. Veterans applying for psychiatric disability benefits are likely to work more days and to use more mental health services if they receive counseling about the value of working, said Department of Veterans Affairs (VA) researchers based on data they published in Psychiatric Services in Advance. The researchers randomized 84 veterans who had applied for disability benefits based on psychiatric illness to either a four-session intervention program of benefits counseling or a general introduction to the VA’s health system (control subjects). The counseling used motivational interviewing and other techniques to “increase the veterans’ desire to engage in work and related activities,” said Marc Rosen, M.D., an associate professor of psychiatry at Yale University School of Medicine, and colleagues. Rosen is also affiliated with the VA Connecticut Healthcare System in West Haven. The control group showed no change in the average number of days worked at six months from baseline, but the group that received counseling significantly increased their working time from 6.6 days to 10.5 days per month. The increase came not from a few veterans working more hours but from more veterans going back to work, Rosen and colleagues pointed out. The counseling intervention also increased these veterans' use of mental health services. 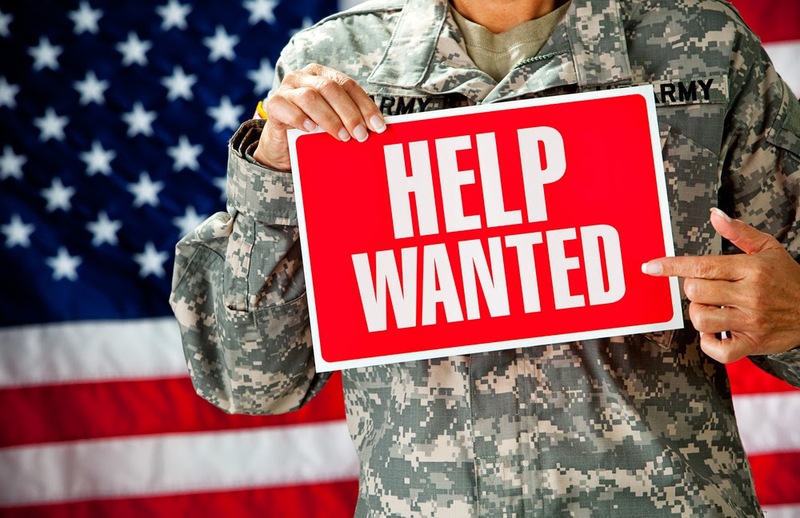 “Benefits counseling might help veterans who have applied for disability because of a service connection to obtain other evidence-based services that help them successfully find and maintain employment,” the researchers concluded. Heroin use has long been thought of as primarily an inner-city problem of young men, according to the authors of a new study of the problem, but new data based on treatment use show that it now also extends to older men and women living outside of large urban areas and who came to the drug after first using prescription opioids. This is the key finding from a study published in JAMA Psychiatry by lead researcher Theodore Cicero, Ph.D., of the Department of Psychiatry at Washington University in St. Louis and colleagues. 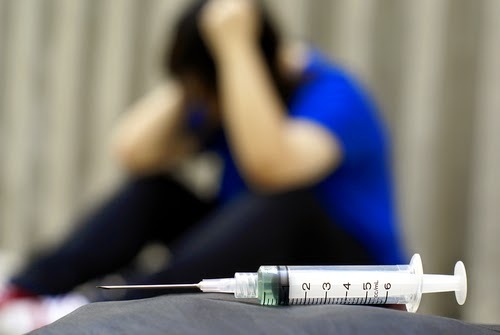 Some 2,800 individuals with a DSM-IV diagnosis of heroin use/dependence and who had entered substance abuse treatment programs across the country were surveyed about their past drug use and why heroin had become their drug of choice. Respondents who began using heroin in the 1960s were mostly young men in urban areas whose first opioid of abuse was heroin. But more recent users were older men and women living in less-urban areas and who were introduced to opioids through prescription drugs. Both whites and nonwhites were equally represented in those initiating use prior to the 1980s, but nearly 90 percent of respondents who began use in the last decade were white. Those who transitioned from prescription opioids to heroin often did so, they said, because it was more readily accessible and much less expensive than prescription opioids. The transition of many users from prescription opioids to heroin may have been driven partially by the introduction in 2010 of abuse-resistant formulations of prescription opioids, compelling some addicts to seek an alternative that was easier to obtain and to use, the researchers said. There is also some positive news on the problem of opioid abuse, as the Substance Abuse and Mental Health Services Administration (SAMHSA) pointed out in a recent report. For example, there has been a decline in prescription opioid abuse among both youth and young adults from 2007 to 2011. Another was that from 2006 to 2010, the number of people receiving buprenorphine treatment for heroin addiction jumped 400 percent. To read more about the SAMHSA findings, see the Psychiatric News article, "Recent Mental Health Trends Provide Reasons for Optimism." APA President Paul Summergrad, M.D., issued a response Friday on behalf of APA addressing issues raised in a report by the Institute of Medicine (IOM) last week urging a major overhaul of the goals, financing, and governance of graduate medical education (GME) in the United States. A key element of the IOM's proposal, included in the report titled "Graduate Medical Education That Meets the Nation's Health Needs," is shifting GME funding to a performance-based system that addresses the role of payers other than the Medicare program. It also notes that the physician workforce needs to be examined to acknowledge the role of nonphysician providers in a system based increasingly on collaborative and integrated care. The IOM recommended maintaining GME funding at present levels, but making changes over a period of 10 years to modernize GME payment methods based on performance, to ensure program oversight and accountability. In addition, it urged development of research and policy "regarding the sufficiency, geographic distribution, and specialty configuration of the physician workforce." Summergrad stressed that any changes to GME must be in the service of strengthening the physician pipeline. "At a time of profound change in our health care system, the population of the United States is also growing and aging, and newly insured Americans are entering the system and will continue to do so in the next decade," he said. "Congress has consistently called for an increase in physicians in the workforce. Because we are concerned about the shortage of physicians overall, and of psychiatrists in particular, we note that without a comprehensive examination of the entire funding system, the nation risks exacerbating a real problem that only threatens to grow. APA supports the framework that the Health Resources and Services Administration uses to define medically underserved areas and that the IOM uses in its report." But he noted that changes proposed by the IOM "could diminish the number of psychiatrists and child psychiatrists, already in short supply, and of international medical graduate psychiatrists. These latter physicians represent a high proportion of those who serve in the public sector and in rural areas—a critically important contribution to balancing the geographic distribution of mental health care services. Read the complete APA statement on the IOM report on the APA website. Labels: APA, graduate medical education, Institute of Medicine, IOM, Paul Summergrad M.D. In an 11th hour move last night, the Senate approved a compromise bill that includes a number of provisions to increase veterans’ access to mental health care as part of broader plan to enhance the VA's medical workforce and allow access to care outside the VA system. The legislation, known as the Veterans' Access to Care Through Choice, Accountability, and Transparency Act, was passed by the House earlier this week and is now awaiting signature by President Obama. Annual studies of workforce shortages: The VA would identify annually the five occupations of health care providers with the largest staffing shortages and be able to utilize direct-appointment authority to fill these openings in an expedited manner. Increased medical residency positions at the VA: The VA would establish or ensure sufficient numbers of medical residency positions at facilities in areas with health professional shortages. The number of graduate medical education residency positions will increase by up to 1,500 over five years with a priority for primary care, mental health, and other specialties. Increased medical education debt repayment: The VA' s authority to operate the Health Professionals Educational Assistance Program (HPEAP) would extend through 2019, and the cap on debt reduction payments to participants would be increased from $60,000 to $120,000. In addition, the legislation would allow veterans to obtain health care at non-VA facilities if they live more than 40 miles from a VA clinic or can't get an appointment at a VA clinic within 30 days, provide for improvements in VA health care facilities and the opening of 27 additional VA health facilities across the nation, require the VA to post online the wait times for scheduling appointments at VA medical facilities, and require an independent assessment of hospital care and medical services furnished in VA medical facilities. A full report on the legislation will appear in an upcoming issue of Psychiatric News. For information on the VA’s failure to provide adequate and timely health care to veterans, see the Psychiatric News article Veterans Affairs Scheduling Scandal Leads to Turmoil at the Top. 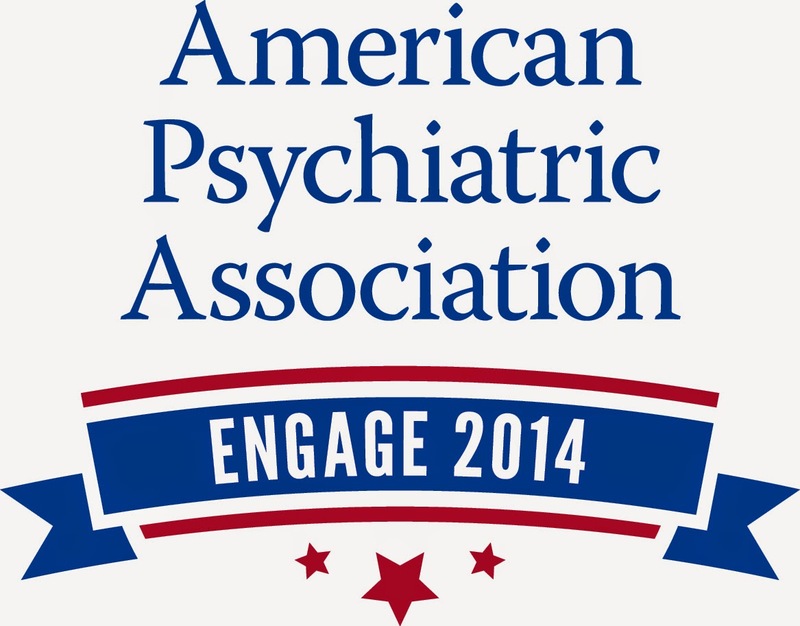 Beginning today until Election Day, November 4, APA’s Department of Government Relations will be operating Engage 2014—a grassroots campaign encouraging members to advocate on behalf of the mental health community. An electronic message or call to a representative’s office in Washington, D.C.
APA will provide an up-to-date list of events specific to each participating member's local area, arrange meetings with members of Congress, and provide talking points, materials, and other tips in preparation for meetings with Congressional representatives. Become engaged today by signing up at the Engage 2014 subscription site. For information on the grassroots initiative, visit Engage 2014.